Over the past few months, the concept of buying blue-chip stocks resonated with several investors. Going purely defensive doesn’t generate many returns, if at all. Beyond that point, the domestic markets remained robust relative to international sectors. With the recent news that President Trump will delay an increase in tariffs on Chinese goods, we have good reason to dive back into equities. Previously, Trump threatened to spike tariffs to 25% from the current 10% on $200 billion worth of Chinese imports. Apparently, positive discussions between Trump and his counterpart, President Xi Jinping averted the trade war’s escalation. Undoubtedly, investors have now turned their attention to the best stocks to advantage this groundbreaking development. However, I still believe a strong case exists for blue-chip stocks. First, the economic conflict remains in the discussion phase. Until the two nations sign a deal, it’s all talk. Second, the core issues that led to the trade war — intellectual-property theft — still linger. Politically, Trump must avoid looking weak by holding China accountable. Finally, we have other geopolitical flashpoints, such as North Korea and Russian belligerence, along with fierce division back home. Any of these problematic areas could spell volatility for speculative or less-capitalized names. Iconic big-box retailer Walmart (NYSE:WMT) is already an automatic name among blue-chip stocks. Love it or hate it, the company has the clout and resources to weather multiple storms and still profit shareholders. Plus, management is constantly seeking fresh avenues to make WMT stock look attractive to prospective buyers. 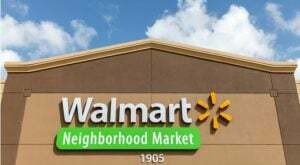 But the thawing in the trade war has suddenly made Walmart one of the best stocks to advantage this development. Late last year, Walmart CEO Doug McMillon worried about potential price hikes. While management has done a good job keeping them at bay, an escalating trade war could drive prices higher in 2019, leading to reduced revenues. If President Trump makes good on his recent tweets, the nagging headwind impacting WMT stock will simply fade away. 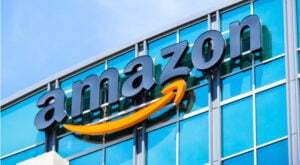 Although Amazon (NASDAQ:AMZN) plies its trade in the cyclical retail industry, AMZN stock has proven to be an explosive and consistent winner among blue-chip stocks. A key factor is its disruptive nature. Amazon is no longer just an e-commerce platform but a genuine technology powerhouse. But as our own Brad Moon explained, corporate expansion can sometimes increase vulnerability. As the trade war escalated last year, Moon warned it could harm the company’s Amazon Web Services (AWS) business. Because the servers and networking gear that drive AWS used Chinese parts, operating costs could skyrocket. Similar to other tech firms, AMZN stock absorbed a beatdown during the final quarter of 2018. But with U.S.-China ties warming, Amazon is one of the best stocks to ride the sentiment shift. 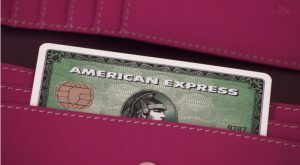 If a trade deal shores up the consumer market, I’d take a look at American Express (NYSE:AXP). Obviously, increased consumer purchases benefit AXP stock. Moreover, the credit card company has expanded its offerings over the years, thereby broadening its appeal and user base. Nevertheless, American Express still caters toward an affluent clientele, and that benefits AXP stock in case of another downturn. In the meantime, a factor that has made AXP one of the best stocks this year is its benefits package. Few credit cards offer as many perks, which explains its 15.6% year-over-year sales growth during its most recent quarter. This dynamic should continue to support shares further down the line. For instance, the company’s Platinum card offers free airport lounge access in several top locations. That’s a big bonus for travelers, especially since the airline industry has nickeled-and-dimed its customers in recent years. The market rout that started last October hurt both blue-chip stocks, as well as more speculative names. Despite having a dominant presence in the increasingly relevant defense industry, Lockheed Martin (NYSE:LMT) couldn’t avoid the fallout. In 2018, LMT stock tanked nearly 17%. That said, the defense contractor is currently one of the best stocks of 2019, having gained almost 19% since the start of the year. LMT stock is now on the cusp of breaking even with last year’s opener. Better yet, it should move significantly higher than that. By controversially pulling out of Syria, Trump caused the U.S. to lose credibility. That, in turn, emboldened our adversaries like Russia and Iran. To right this ship, either Trump or the next administration must demonstrate a show of force. This dynamic has LMT stock written all over it. With the upcoming talks between President Trump and North Korean dictator Kim Jong-un, I marveled at this dynamic’s asymmetry. Despite the U.S. having a longstanding policy of not negotiating with terrorists, a madman with nuclear weapons destroyed that protocol. Fortunately, we have Northrop Grumman (NYSE:NOC) to address these asymmetric conundrums. Among the blue-chip stocks levered toward the defense industry, NOC stock represents the quiet professional. The underlying company’s products don’t always generate media attention, but they’re deadly efficient. Moreover, Northrop Grumman specializes in next-generation military tech, such as drone warfare and robotics. This focus will be especially relevant as we prosecute the war on terror, which typically features non-standard battlegrounds. NOC stock also indirectly represents readiness towards our ability to fight proxy wars, such as in eastern Ukraine. More often than not, I’ve shied away from China-based blue-chip stocks. No matter their growth potential, I have a hard time justifying investments in communist countries. And for once, the trade war proved my pensiveness correct. 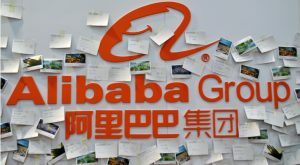 But a thawing in this critical economic relationship could rejuvenate Alibaba (NYSE:BABA). Indeed, the markets have anticipated that Trump and Xi will bury the hatchet. Year-to-date, BABA stock has gained nearly 32%. Of course, most indicators suggest that Alibaba will rise even higher. The trade war rattled China’s flagship company, but with a resolution on the horizon, the bulls have confidence here. As my InvestorPlace colleague Bret Kenwell pointed out, BABA stock has tremendous growth potential that belies its massive size. Furthermore, Kenwell argues that the technical posture for Alibaba appears much healthier than before. Due to the promised changes in healthcare from the Trump administration, the sector has produced several hits and misses. For quite some time, pharmaceutical giant Merck (NYSE:MRK) languished in horizontal trading. But a resurgence last summer has seen the company become one of the best stocks to buy. In 2018, MRK stock delivered 39% returns, defying an otherwise volatile market. Just as impressively, shares show no signs of fading with a YTD performance of over 7%. 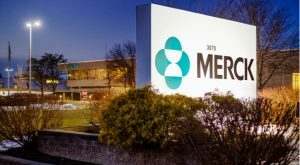 The bulls helped their case when Merck delivered a strong beat against earnings and revenue estimates in the fourth quarter. Although MRK stock has already charged up the hill, it’s still built for the long haul. Recent scientific analysis indicates that Merck’s cancer-fighting drug Keytruda demonstrates tremendous effectiveness against specific skin cancers. With a possible breakthrough in this dreaded disease, MRK is one of the blue-chip stocks you can’t afford to ignore. Generally, it’s not a good idea to buy a heavily indebted company. 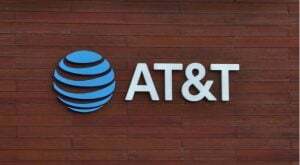 Using that logic, you should automatically avoid telecommunications giant AT&T (NYSE:T). Thanks to its aggressive acquisitions, an excess of $166 billion of debt clouds T stock. Admittedly, that’s a huge, distracting figure. At the same time, debt alone doesn’t drive a business entity’s market value. If it did, the U.S. would crumble under its $22 trillion national debt. I’m not saying that debt doesn’t matter. However, you must give some weight to the quality of debt. Here, I believe T stock stands up well to the criticism. For one thing, AT&T expanded into proven, relevant sectors. More importantly, the company features an enviable telecom network. Logically, this means that the next-gen 5G roadways — including related tech such as automated driving — all lead to AT&T. And while you’re waiting on that long-term narrative to play out, you can collect its sweet dividend. Out of all the blue-chip stocks that I’ve covered, I’ve largely criticized Apple (NASDAQ:AAPL). In 2017, I warned that “peak smartphone” will eventually impact AAPL stock. In 2018, I provided five reasons why you should sell your Apple shares. Finally, last November, the price matched my bearishness. From a broader perspective, I still maintained my skepticism toward AAPL stock. That said, the thawing in U.S.-China relations offers at least a temporary trading opportunity. After all, one of the key reasons why AAPL badly underperformed against other blue-chip stocks was Chinese iPhone sales. Needless to say, revenues disappointed. However, the bulls now have a legitimate case to back up their thesis. 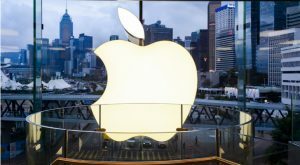 Investor psychology should turn more positively towards Apple, with the belief that management will turn itself around. However, I’d be careful in staying too long in AAPL unless it receives a direct, fundamental catalyst. 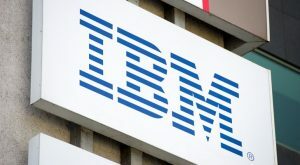 For the longest time, International Business Machines (NYSE:IBM) has represented an anomaly among blue-chip stocks: it was exciting, but in the completely wrong direction. Last year, IBM stock tanked 23%, with most of the pain occurring in the final quarter. However, this year represented a complete turnaround in sentiment, with shares jumping nearly 26%. 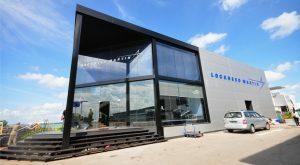 Management firmed up the enthusiasm with a surprisingly positive showing in their latest earnings report, beating profitability and growth targets. Not only that, “Big Blue” produced a robust forward guidance which immediately boosted IBM stock. But is this move sustainable over the long run? I think it is, primarily because the company offers a wealth of underappreciated technologies, including artificial intelligence. Better yet, IBM’s AI program isn’t just an academic exercise. Two years ago, Japan’s Fukoku Mutual Life Insurance replaced some of their human labor force with IBM’s Watson platform. And like AT&T, you can enjoy IBM’s generous dividend while shares marinate in its newfound bullishness. As of this writing, Josh Enomoto was long T stock. 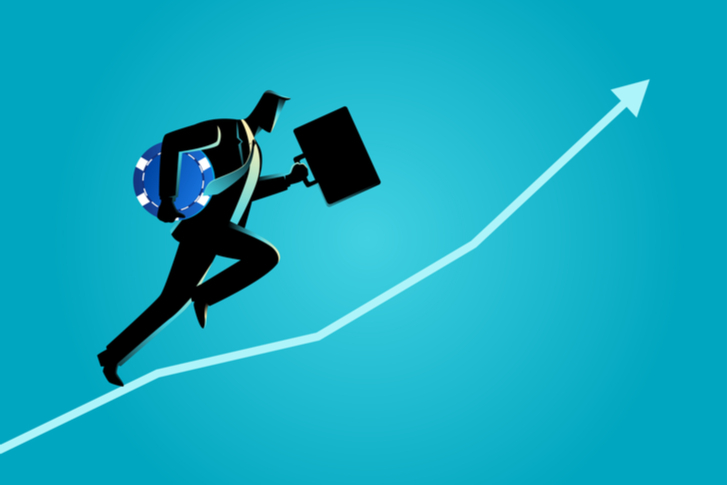 Article printed from InvestorPlace Media, https://investorplace.com/2019/02/blue-chip-stocks-to-lead-the-market-sgim/.